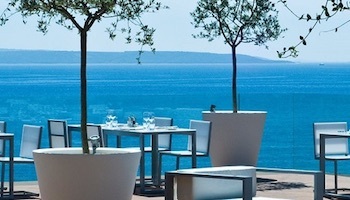 In order to enjoy both Roman ruins and the Adriatic Coast, there is no question that Split is a top destination. The city was built around the Diocletian Palace, making it a historically significant city in Croatia. There are also stunning beaches and opportunities to sail, scuba dive and swim in the Adriatic. While you won’t have trouble finding amazing things to do, see and explore within Split, it is also worth venturing outside of the city walls. Plan one or more day trips from Split to the following destinations to enjoy the best that Croatia has to offer. The city of Sibenik has a recorded history dating back for nearly 1,000 years. Historically, the city’s most important landmark is the 15th century St. James Cathedral, which boasts beautiful sculptures and impressive stone masonry. To explore the hub and heart of the city, make your way to King Tomsilav’s Street, known to locals as Kalelarga, to stroll through boutiques and relax in charming cafes. Keep your eyes open in order to spot the ubiquitous šibenik hat, an unusual black and orange headpiece native to the city. Located just 80 kilometers away, Sibenik is straightforward to get to by public transport; buses regularly depart from Split main bus station. The journey takes around an hour and a half, and once you arrive, all of Sibenik’s fascinating sights are just a short walk away. Driving to Sibenik is also very simple to do, and means you could also potentially visit Trogir on the way, or stop by the nearby Krka National Park if you have time. Just head northeast out of Split on the A1 then take the E65 heading west; turn off once you see signs to Sibenik. This should take just over an hour. A more scenic but much longer route is to follow the D8 that snakes its way along the stunning Dalmatian coastline between the two cities. A lovely way to enjoy both Sibenik’s delightful historical and architectural sights and the wonderful nature on show in Krka National Park is to take a guided tour that combines the two into one unforgettable day trip. As well as marveling at churches, bathing beneath waterfalls, and wandering amidst woodlands, the tour also includes a lovely boat trip to Skradin, where you can enjoy wine and cheese tasting. See trip reviews & prices. The island of Solta may just be 19 km (12 miles) from Split, but it is a world unto itself. Accessible by ferry in under an hour, Solta makes for a wonderful day trip from Split. Since Solta is less developed than some of the other Croatian islands, it retains its culture and history, and visitors will be slightly off the beaten track. Along with excellent hiking and beautiful beaches, Solta Island also offers an array of historic structures and some ruins. You might want to explore the one of the dozen churches that are upwards of 300 years old, the prehistoric hill fortress of Gradac or the ancient remains of several sarcophagi. To explore the beautiful Solta Island, you’re first going to need to get there. A number of ferries run between Split and Rogac – the main town on the island – each day. As these are not all too frequent, it is a good idea to plan your journey in advance. The ferry ride usually takes an hour, with some catamarans only taking half-an-hour. Once you arrive at Rogac, you can take a bus or taxi to any of the other charming little towns and villages lining the coast. Another option is to join a fun catamaran excursion that takes you all around Hvar and the Pakleni Islands; this offers up fantastic views of both Brac and Solta Islands as you cruise by. 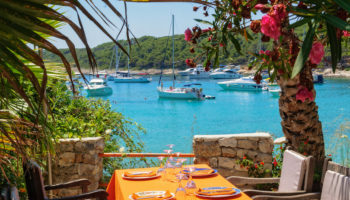 With regular stops to swim and snorkel also included, alongside free time in Hvar Town, it is an excellent day out with something for everyone to enjoy. See trip reviews & prices. If you’re fascinated by Roman ruins, then a day trip from Split to Salona is a fantastic choice. The former Roman capital of Dalmatia, Salona is a mere 10 km (6 miles) away from Split, making it a quick journey for history lovers. While in Salona, you’ll be able to tour the ruins of an enormous amphitheater from the second century, which was large enough to accommodate 18,000 spectators for gladiator fights against bears. Be sure to leave time to see the fourth century basilica cemetery, the burial place for Christian martyrs called Manastirine, a covered aqueduct from the first century and the informative exhibits at the Tusculum Museum. As it is located so close to Split, it is very easy to visit Salona by public transport. From Sukoisanska bus hub, the number 37 departs regularly; this stops by Salona on the way to Trogir, and it is well worth continuing onto the latter once you’ve explored the Roman ruins to your heart’s content. All in all, it should only take you 15 to 20 minutes to get to Salona. 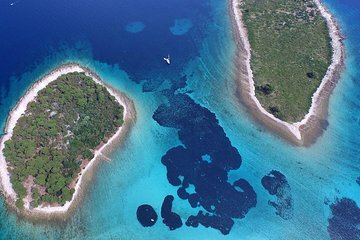 The island of Brac, just south of Split, is home to a number of interesting and scenic destinations. One of the most popular is Zlatni Rat, located near the town of Bol. 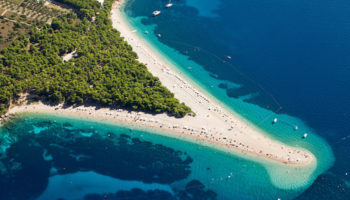 Zlatni Rat, also known as the Golden Horn, is a triangular beach that extends off the coast and boasts a lush green Mediterranean pine grove in its center. Widely regarded as one of the most beautiful beaches in all of Croatia, Zlatni Rat is a spectacular place to kick back, admire the views, try scuba diving or even go windsurfing, a popular pastime thanks to regular breezes in the region. To get to the beautiful beach of Zlatni Rat from Split, visitors have a couple of options available to them. The first is the easiest; that is to take an hour-long direct ferry from Split port all the way to Bol, which is the nearest town to the beach. Ferries don’t depart that frequently, however, so you’ll want to check the schedule in advance. Alternatively, you can take a ferry to Supetar, which is on the north of Brac Island, then take a 40-minute bus journey to Bol. From Bol, the beach is just a short walk away. A great way to explore Brac Island is to take a guided tour that includes a stop at the gorgeous Zlatni Rat. As well as enjoying the breathtaking views on offer from your luxury catamaran on the trip there and back, you’ll also take a guided bus tour of the island and stop off at the delightful Lucice Bay, where you can swim, relax, and take in the stunning scenery. See trip reviews & prices. Located 32 km (20 miles) south of Split, Omis is a historic port city built where the waters of the Cetina River meet the waters of the Adriatic Sea. Beaches and history mingle in Omis, making it a place for sun worshipers and history buffs alike. Collectively, the churches of Omiš are amazing, and guided tours bring you to some of the oldest and most architecturally significant. Two fortresses, Mirabella and Fortica, once protected the city but are now open to visitors. Velika Plaza is the main city beach, where you can swim, soak up the sun or imbibe in the local wine at a cafe overlooking the water. From Split, Omis is just a half hour bus journey away. Simply hop on a bus at the main bus terminal in Split and alight in the center of Omis after enjoying a scenic bus journey along the Dalmatian coastline. There are usually one to two buses an hour departing from Split to Omis, depending on the time of day. Driving to Omis takes around the same time, and you follow almost the same route as the bus. Just head east out of Split and stick on the D8 that hugs the coast and will take you all the way to Omis. 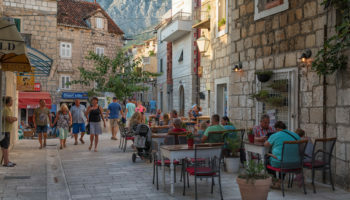 If you have rented the car for the day and want to make the most of it, you could drive to the opposite side of Split and visit Trogir after seeing Omis, as it is only around an hour’s drive away. Getting to the island of Hvar from Split is a pleasant journey that requires a one-hour ferry ride. The views along the way are magnificent, but the real reward is revealed once you arrive in Hvar Town. The town square is among the largest in the country, and it dates back to the 13th century. The city developed outwards from the square, so you can trace the history of architecture as you walk in any direction. Tour the interior of the Cathedral of St. Stephen, sip the local drink of fig brandy or just take a walk along the coast to spot the fishing boasts coming in at sunset. To get to Hvar Town from Split, you’re going to have to take a ferry; these run very frequently during the high tourist season, with less running the rest of the year. The ferry to Hvar takes between an hour and two hours, depending on which route it follows. Once you arrive, you’ll find yourself in the center of town with all the main sights within walking distance. An unforgettable way to visit Hvar Town is to jump on board a speedboat tour that also takes you to another five Croatian islands. Over the course of the day, you’ll get to explore caves, swim and snorkel in Budikovac Island’s Blue Lagoon, and sunbathe at Smokova Bay. 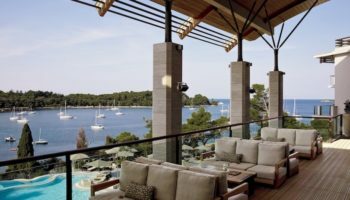 With wine tasting on Brac Island and free time in Hvar Town also included, it is an action-packed tour that will leave you tired but happy at the end of the day. See trip reviews & prices. North of Split is one of the largest parks in Croatia, the Krka National Park. Two major rivers traverse the park, resulting in numerous waterfalls. Hiking trails range from easy to navigate and well-marked to true back-country, appealing to a variety of fitness levels. Unlike at many of the scenic waterfalls in the region, you can actually swim at the base of several falls in Krka National Park. While you can easily tour the park on your own with the help of signs and a map, guided walking or bus tours are a popular way to see as much of Krka as possible in a single day. From the main bus station in Split, direct buses take you to Skradin – where one of the entrances to Krka National Park is – in just an hour and a half. While these run very frequently during the high tourist season, they drop off a bit the rest of the year, so it is a good idea to check the schedule in advance and plan your trip accordingly. Another possibility is to drive there yourself; the journey takes just over an hour, although this route does include tolls. Simply head out of the city on the A1 and take the E65 until exit 22 just outside of Sibenik. Turn onto the D33, and this will take you to Lozovac, where you’ll find a car park and an entrance to the national park. 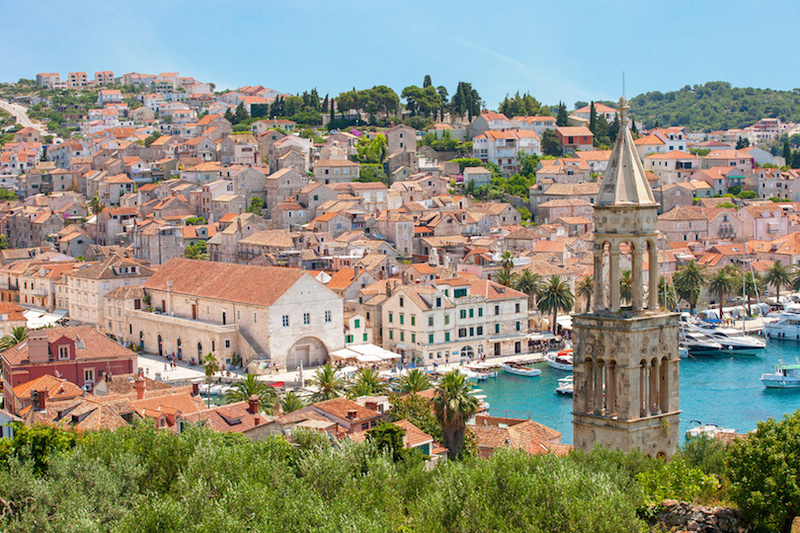 On the way back to Split, it’s worth stopping off to have a look at Sibenik or Trogir. Lots of people who want to visit the lovely waterfalls end up taking a guided tour to Krka National Park, as this not only takes you to swim beneath them but also takes you for a sightseeing tour of Sibenik’s historical sights and wine tasting in Skradin. With a boat trip also included, it is a great option for people who want to experience as many different sides of Croatia as possible in just one day. See trip reviews & prices. 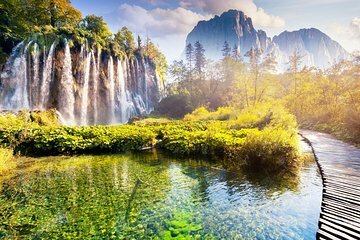 Northwest of Split, and further inland, is the Plitvice Lakes National Park. Comprised of more than 16 stunning lakes, each of which has a turquoise hue, and lush green forest, the park is an escape from everyday life and a stark juxtaposition to the coastal regions. Although there is no swimming allowed in the park, there are plenty of ways to stay active. You can hike to the Veliki Slap, an amazing waterfall surrounded by boulders, as well as to several caverns, smaller waterfalls and camping spots. An abundance of flora and fauna gives you plenty to spot along the way, including bears, wild cats and more than 120 varieties of birds. Lying 270 kilometers to the northwest of Split, it takes around three hours to drive to Plitvice Lakes from Split. After heading out of the city center on the A1, you want to hop on the E65 heading northwest before continuing on the E71. At exit 13, turn off onto the same A1 which you started on just outside of Split; this will take you all the way to the beautiful lakes. Due to the circuitous route it takes, it is not worth simply sticking on the A1 all the way there, as it would add a lot of time to the journey. 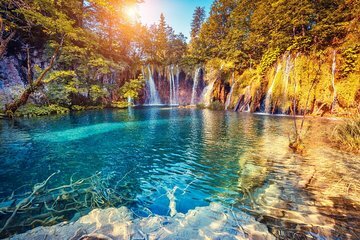 If you don’t fancy driving all that way yourself, you may want to consider taking a guided tour to Plitvice Lakes. After having been driven through the beautiful Croatian countryside, your guide will take you around the glistening lakes and along scenic woodland paths before a memorable cruise across one of the lakes. See trip reviews & prices. 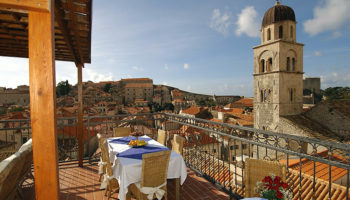 Just 24 km (15 miles) west of Split, and also on the Adriatic Coast, is the city of Trogir. The city of Trogir is packed with medieval architecture, much of it remarkably well-preserved. Walls from the 15th century encircle Trogir, and within them you can stroll through narrow winding streets, see the beautiful Venetian-style Cathedral of St. Lovro and admire the 15th century town call that still stands. Closer to the coast, kick back on beautiful beaches, or dine overlooking the clear blue water. Make sure to visit the waterfront Kamerlengo Fortress, where you can walk on the walls and take in truly spectacular views over the city as well as the coast. To get to Trogir by public transport from Split is very simple and quick and should only take you around half-an-hour. Numerous buses depart every hour; these leave from both the main bus terminal in Split or from Sukoisanska bus hub in the west of the city. Either take line 37 from the latter or hop on any one of the buses heading to Sibenik or Zadar from the main terminal; they all stop off at Trogir on the way. Driving is also just as easy and means you can continue exploring the glorious Croatian coastline after seeing Trogir. From the city center, head east out of the city until you come to the D8, which you want to take heading west. After around 25 kilometers you’ll see signs to Trogir – the drive only takes half-an-hour. From here, you can always drive to visit nearby Sibenik or the lovely Krka National Park. Another lovely way to visit Trogir is to take a guided tour that combines a trip to the beautiful city with a sightseeing walk around Split. 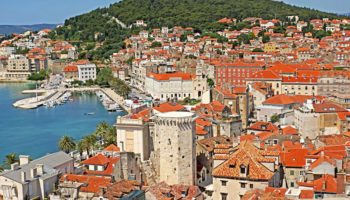 This way, you get to see both wonderful cities in just one day, and with a knowledgeable guide on hand, you’ll come away with a greater understanding and appreciation for this delightful part of Croatia. See trip reviews & prices.